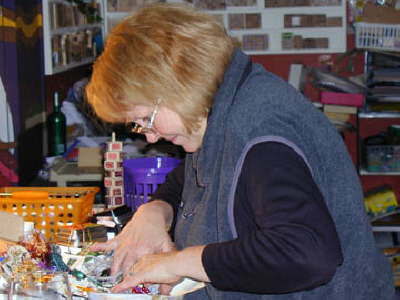 Carol enjoys craft. Here she is creating jewelry at our daughter Angela's house. She worked as a psychologist at a clinic in Minnesota, as a German and science teacher at a school in Oklahoma, and taught management courses to Burmese minority students in Thailand.